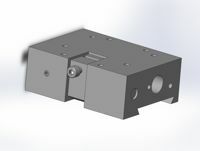 AFM Engineering makes custom heater heads to order. from normal. Rotating the Heater Head may require a larger Foil Feed System.